At Parents Place, Maneesh Saini provides psychotherapy to children, adolescents, and families, as well as clinical consultation to parents, teachers, and schools. Maneesh has worked with children and parents for over 10 years as both a mental health clinician and as an educator. Prior to joining Parents Place, Maneesh worked as a school-based clinician in elementary, middle, and high schools in the San Francisco Bay Area. Maneesh earned his Master’s degree in counseling psychology from the California Institute of Integral Studies and completed post-graduate training at Access Institute for Psychological Services where he focused on child therapy. 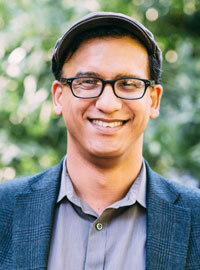 Maneesh also holds a Master’s degree in education from the University of California, Berkeley and was a high school English teacher in San Francisco and Oakland for five years. At Parents Place, we understand the challenges of raising children with special needs, and we’re here to help.